Using audience suggestions and interviews, Capital City Improv creates unique, on-the-spot comedy shows that live for one night only! 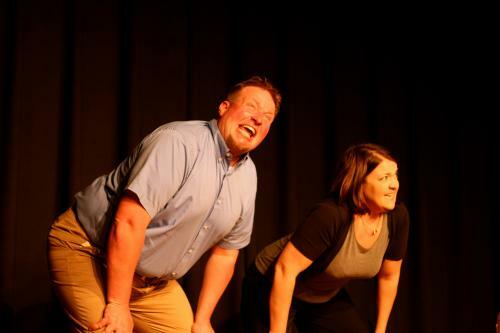 Dennis Price, founder of Capital City Improv, studied and performed improvisation in Chicago with The Second City and IO Theater (formerly ImprovOlympic). While performing with IO house team Honeyslide, Dennis watched and worked with some of the best improvisers in Chicago. Since coming to Maine in 1998, Dennis has worked as an actor, performer, improviser, teacher, and director. He worked with the Theater at Monmouth for 12 years, and he was also seen at the Penobscot Theater in Bangor and The Public Theater in Lewiston. During the summer, he performs with ImprovAcadia in Bar Harbor.